Humans have a tendency to form hierarchies. 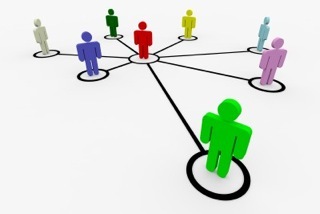 Sociologists believe that the formation of hierarchy is a means of establishing social order. Humans seek social order to reduce anxiety, establish self-meaning, and distribute tasks. Hierarchy is observed in lower orders of animals, as well as humans, and consequently is thought to have adaptive advantage in evolution. Often times, conflict arises because roles within hierarchies are misunderstood or ignored. Hierarchies are formed through a quiet, usually unconscious, struggle as people sort out who will be superiors, inferiors, and equals. If you look closely at any group, you will see a hierarchy. One person has more respect or popularity or responsibility, and is therefore a “superior.” Others, usually followers or subordinates, are “inferiors.” People of equal rank are “equals.” The terms “superior,” “inferior,” and “equal” should not be confused with worth of a person. In this context they refer simply to social ranking within a group. Most of the time, hierarchies are benign and useful. However, superiors can abuse their positions. Likewise, inferiors can ineptly not “fit in.” In our culture, individualism and egalitarianism is so highly regarded, and the notion of hierarchy is distasteful. Thus, most people either overlook or deny the existence of hierarchy. This social blindness can be a mistake. People develop their positions in hierarchy through roles and status. Every individual portrays multiple roles deriving from the various communities in which he participates. A person may be superior in one community, but an inferior in another. The complexity of society requires that each person play many roles, alternating between superior, inferior, or equal, within hours or even minutes of each other. Within a hierarchy, successful role-playing is determined by how well we deal with our superiors, inferiors and equals. We learn these hierarchical social skills as children. Our parents are our first experience with absolute authority. We play before our parents, bring things to them, and entice them to play hide and seek. In this way, we learn to attract and hold the attention of our first significant audience. However, until we learn how to play other status roles, especially roles with equals, we will relate to superiors and inferiors as we learned to relate to our parents. Learning other status roles comes from learning manners. Through dress, gesture, speech, and bearing, we indicate to others and to ourselves where we belong or want to belong in our society. All manners are a dramatization of the self, telling others how we want to be regarded and how we regard others. Manners are the daily language of hierarchy, and the absence of manners signifies the absence of social order. These concepts allow us to consider some causes of conflict. First, conflict arises when people are ignorant of the basic social forces that compel formation of hierarchies. 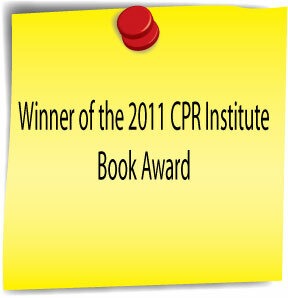 Thus, they do not perceive that a role appropriate in one context or hierarchy is completely inappropriate in another. When people do not enact expected roles, groups act quickly to either force conformity or expel the offender. 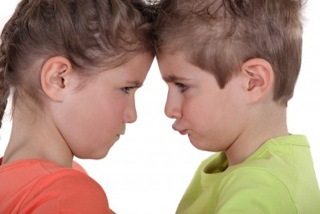 Conflict can be transformed in these cases when people become conscious of the hierarchies within their lives, and adopt behaviors appropriate to the role of the moment. Conflict over bad manners arises from the belief one is not really important in the eyes of the transgressor. A faux pas made out of ignorance (and soon corrected) will be readily excused. With a faux pas, the importance of manners as a social bond is not challenged. Likewise, people laugh at a comedian’s vulgarity so long as what they feel important is not threatened, but people become uncomfortable with savage ridicule or continued vulgarity because this conduct endangers the social order upon which manners are based. Much conflict derives from poor training in status communication. People want to communicate effectively with superiors, inferiors, or equals, but, because of a status difference, often do not know how to do so. An employee may have a difference of opinion with a supervisor, but may not know how to address that person effectively. Similarly, a superior may not have sufficient skills to communicate effectively to subordinates. Likewise, equals may have difficulty expressing concerns or differences with equals. These are all examples of deficient status communication skills. If a person’s social experience precludes open discussion of differences with equals and superiors, he cannot be expected to welcome it. Thus, inability to deal with hierarchical differences leads to conflict avoidance, anger, frustration, shame and guilt. If you are facing a conflict situation within a work group, discern the underlying hierarchy. What are the roles of each of the members? Who is superior? Who is inferior? Who are equals? What is expected of each role? Is the individual behavior consistent with the role in the hierarchy? If not, is the individual aware of the dissonance between behavior and role? If not, is the problem one of insufficient skills in status communication or possibly bad manners? If the individual is aware of the dissonance, a power struggle may be occurring. Have you ever considered what peace actually means? The word peace seems to evoke different meanings from different people. Take the workplace as an example. For some managers, peace in the workplace means the absence of conflict. No one is arguing or showing tempers. No fighting or overt violence occurs. Sexual harassment or other impermissible conduct is absent. The company is in legal compliance with workplace laws. Therefore, the company is peaceful. To me, this is depressing. For others, however, peace in the workplace means that employees feel respected, are cooperative with one another, are enthusiastic about what they do, and have a sense of teamwork. They love coming to work and value their friendships. I get excited about this kind of peace. If peace means the absence of conflict, then both concepts of peace are accurate. But clearly they are not the same. 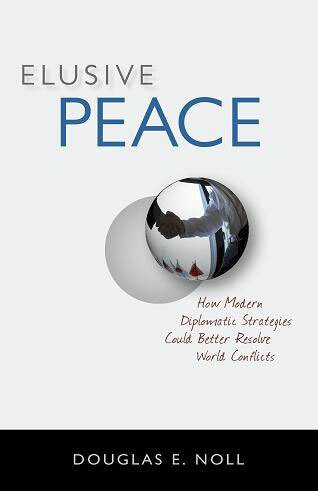 One way of distinguishing types of peace is to consider the idea of negative peace versus positive peace. Negative peace is generally defined as the absence of overt conflict or violence. A ceasefire in Bosnia is negative peace. 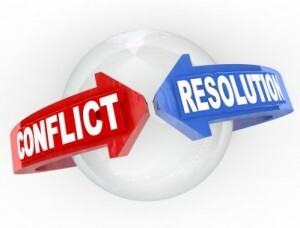 In the corporate setting, a negative peace may exist when all expressions of disagreement or conflict are suppressed. Employees put on their “happy” faces, pretend to get along, and avoid raising uncomfortable or difficult subjects for fear of angering the boss. The absence of conflict or violence does not lead to a positively defined condition. Hence, peace is characterized as negative. Positive peace, on the other hand, may parallel the ancient concept of shalom. Every person is valued and feels valued. There is a right relationship between each member of the work group. Not only is conflict absent, but an esprit d’corps seems to exist. People are motivated by each other and strive for excellence. A balanced blend of personal, internal competition (How can I improve?) and external cooperation (How can I help the other person do better?) predominates. People are excited about their work. They feel privileged that someone is paying them for what they do. Most workers would prefer to have positive peace around them. Yet most work environments are satisfied with negative peace. For example, I asked a company president if her company had a peaceful environment. She indignantly said yes and challenged my implication that her company’s environment was hostile. Of course, my question was purposefully unfair because I did not distinguish between positive and negative peace. I then asked her if the peace within her company was positive or negative. She was nonplussed by the question. When I explained the difference, she thought for a moment. To her credit, she admitted that her company probably maintained a negative peace. Why do most companies have negative peace? First, companies seek an interpersonal goal of absence of conflict. Absence of conflict is comfortable because anxiety is reduced and a sense of control prevails. After all, overt conflict means anger, loud words, and imminent loss of emotional and possibly physical control. One of our dominant cultural norms dictates lack of emotion, rationality, control, and repression of emotion so as not to be frightened with potential violence. Companies also seek a kind of corporate homeostasis or status quo. Maintaining status quo requires less effort, less thinking, less resources, and less creativity. Any strategy reducing difficult objectives appeals to many over-worked managers. Third, companies focus on the financial bottom line or the stock price. The payoffs from the efforts required for a positive peace are not easily related to the current value of stock options. Thus, the minimum socially and legally required effort to maintain peace becomes the standard human resources objective. Imagine, however, how positive peace might operate on a company’s stock value. Employees would be easy to recruit because the company holds a reputation as good place to work. Retention would not be as difficult. When restless employees compare their environment to other opportunities, positive peace wins. Since most companies have negative peace, the competition for retention favors the few who foster positive peace. Positive peace increases morale, reduces absenteeism, increases creativity, and increases productivity. People are, to put it simply, happier. So why don’t companies work towards positive peace? Probably for the same reasons most companies are average financial performers: unawareness, apathy, insufficient human and financial resources, and lack of commitment. Those companies that do concentrate on positive peace find that their investment is rewarded by huge multiples in terms of recruiting, retention, productivity, and valuation in the marketplace. In other words, wealth is proportional to positive peace. Segment 1: From Baghdad to Brooklyn, from Kabul to Fort Hood. Segment 2: Raw Intensity and Deep Emotional Investment. Matt and Roy met in New York while at a veterans writing workshop at New York University. There is a small community of veterans in New York, and even smaller community of vets who write. A few folks at the writing workshop broke out and started brainstorming about what to do with the amazing stories. Matt and Roy felt there were a lot of memoirs on the market but very few fiction short stories about war. Fiction makes it possible for the reader to make a deep emotional investment that might be more difficult with non-fiction war stories. There is a raw intensity in many of the stories. Most of the writers are under 40 and are recently back from serving. Segment 3: A Call for Submissions. To solicit submissions they cast a wide net. They talked to people they knew, they sent out emails to veterans writing groups, they reached out across the country to different veterans organizations with a call for submissions. They received quite a few stories from which to choose and went from there. They looked within the stories for an exchange, a description, an event that couldn’t be forgotten. They wanted all the short stories to add additional layers to the anthology. The fiction needed to feel new and fresh and engaging to be included in the book. Matt has worked with veterans groups as a Senior Writing Fellow, mostly to encourage them to get their experiences down on paper for cathartic purposes. The writing experience can create a new creative capacity in their lives. There is a military-civilian divide and Matt and Roy feel the most important thing they as vets can do within the community is to represent themselves and get their stories out there. The only way to really understand people’s personal stories is to keep talking, keep engaging, keep diving into the complexities of American History.